(Boston, MA) – BOND, the Northeast’s premier full-service construction management and general contracting company, announced today that it has received the Connecticut Construction Industries Association’s (CCIA) Platinum Award for overall safety performance over the past three years. This is the highest safety honor awarded by the CCIA. The Platinum Level Safety award is given to only a select few contractors each year. The award was presented to BOND at the CCIA’s Annual Membership Meeting on December 2nd at the Aqua Turf Club in Plantsville, Connecticut. The award represents a review of all areas of BOND’s safety program including the normal evaluation of its EMR, OSHA recordable incident rates and OSHA History. The designation included an assessment of BOND’s training programs, pre-task planning, and safety inspection software . All programs are evaluated by a special judges’ panel comprised of Connecticut safety and risk management professionals.. 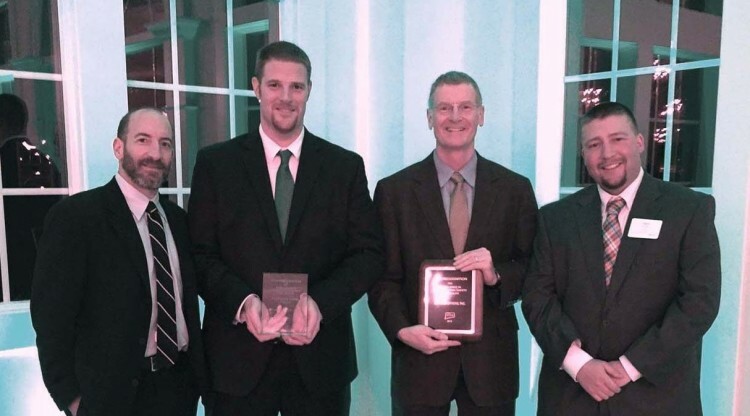 The Connecticut Construction Industries Association presents Safety Recognition Awards each year to member companies that apply and meet certain specified criteria. CCIA’s Safety Committee encourages safety in construction and recognizes companies that maintain a formal safety and health program or related policies and procedures. In order to recognize and reward those construction firms that have met or exceeded national safety statistics, CCIA offers the Platinum Level Award.